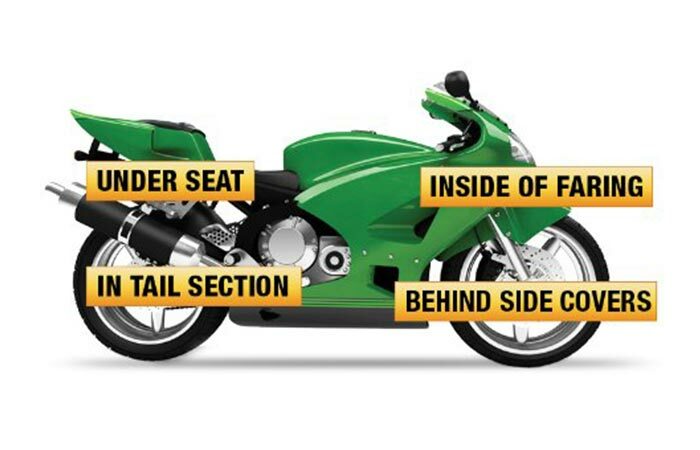 We all know that as awesome as bikes are, the one major flaw that they have is that they can easily be stolen. 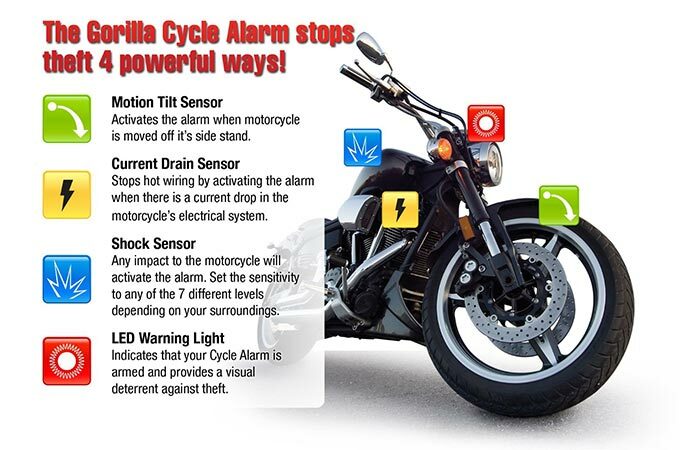 Luckily for us, Gorilla Automotive has come out with their 9100 Motorcycle Alarm and 2-Way Paging System. 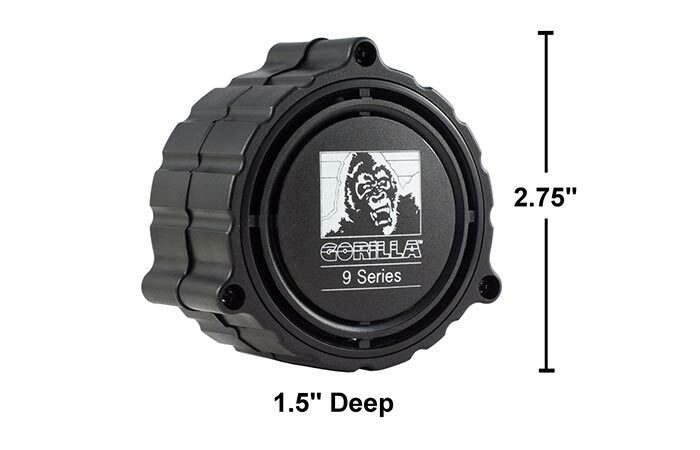 Ultra-compact, super loud, a pager system combined with a ½ mile range, is what makes the Gorilla 9100 Alarm System utterly unique. Interestingly enough, this alarm features a pager system that ensures you always know when the alarm has gone off, but that’s not all. This alarm is pretty small at only 2.75″ in diameter and 1.5″ deep. However, don’t be fooled by it’s size; it can blare out an astonishing 120 skull-splitting decibels. When we said compact, we meant that this nifty little device only measures in at 2.75” in diameter and is only 1.5” deep. This allows for easy installation and for discretion as well. The alarm on the Gorilla 9100 is definitely an ALARM. This speaker boosts out an ear-splitting 120 decibels that is certain to deter any would be thieves. 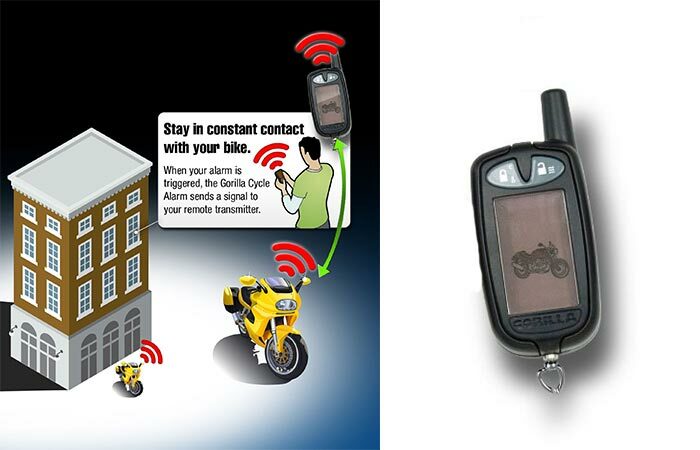 Because of its compact size, the Gorilla Automotive 9100 cycle alarm can be fitted in a variety of places. This alarm features 3 different sensors that act as triggers. The first one is a tilt sensor that activates as soon as the bike is tilted in any direction other than the angle that it was activated at. The second is a 2-stage shock sensor that triggers with impacts. Furthermore, its sensitivity is adjustable to 7 different levels. The first stage gives a warning chirp for light impacts and full-blown trigger for larger impacts. Finally, the Current Sensor detects changes in the battery’s voltage which then triggers the alarm when the bike is started. This alarm features 4 different ways that prevent theft. This includes 3 state-of-the-art sensors. The pager is also unique in the fact that it has a range of ½ mile, and it features an LCD screen. The LCD screen shows which sensor was triggered and you can select audible beeping or vibration alerts. Of course, it wouldn’t be complete without its LCD pager. The pager notifies you when your cycle alarm has been triggered, and which sensor was triggered.